Now, You can get Maximum profits by shipping rates, Which is suit your business. Set your shipping rate for each product by country, states and post/zip codes. It is possible to set individual flat shipping rate for each product/quantity. You can drive your own shipping rate with Master Shipping Pro. Master Shipping Pro gives you extra shipping control features. Do you have any high weight products? Do you have shipping companies who is charge flat shipping rate? Do you want tier shipping rate for your customer? Country based Shipping rates – Set shipping rates for specific country. State based Shipping rates – Set shipping rates for specific state. Postal or zip code based Shipping rates – Set shipping rates for specific areas by post/zip codes. 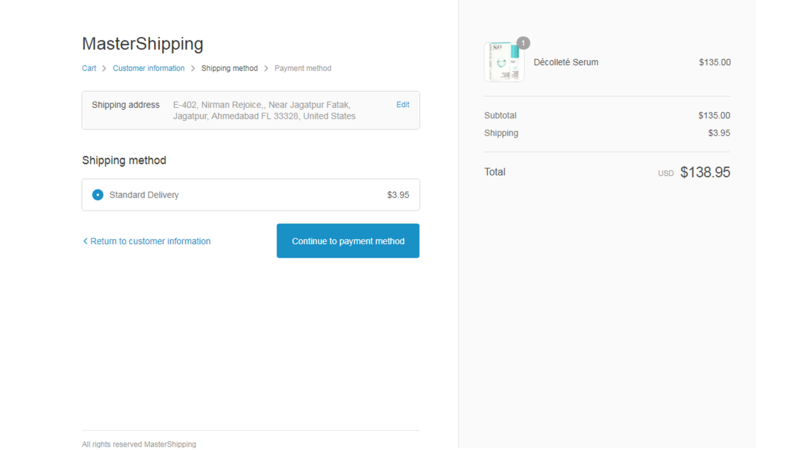 Set rules by cart total – Set shipping rates by cart total value. Set shipping rate by products – Set a different flat shipping rate for each product. No worry about weight or dimensions. Set tier(multiple) shipping for each product – Set a different shipping rate for each quantities of product. Set one shipping rate who will buy multiple quantities of product – Set flat shipping rate of multiple quantities. Set free shipping of products – Set free shipping each product you need. Bulk Update – Update bulk product shipping Rate.